Researchers from Arizona State University discovered that children, regardless of age, directly benefit from spending time with both their mother and father, including overnight stays with the father. The researchers revealed that parenting time with the noncustodial parent (usually the dad) during a child’s infancy causes no discernible harm to the relationship between the mother and the toddler and may benefit the child’s relationships with both parents. The study went on to point out when a young child spends time with their Dad when they are older, but did not have any overnight stays as a toddler, the bond was not as strong when compared to a dad who was able to have overnight visits with their infant child. The increase in overnight visits when a child was an infant correlated with an increase in the depth of the bond between the child and the dad. The data from the ASU study provides a stark contrast from the current policy of many Texas family courts. For example, in Texas, there is no presumption or standard governing the fair and reasonable time for both the mother and father when a child is an infant. Many judges have determined that a father’s parenting time should be frequent, but limited in scope, with an infant based upon studies about infant memory development. Basically, this means the father should be allowed to visit more often, but does not automatically mean they are entitled to have the infant for an overnight stay. the capacity of each parent to effectively divide in the rights, duties, and responsibilities, of parenting the child. It is important to submit proper documentation to the court to substantiate your basis for requesting a particular parenting time schedule. It is also possible for you and your spouse to reach an out-of-court agreement about parenting time and submit that agreement to the court for review. 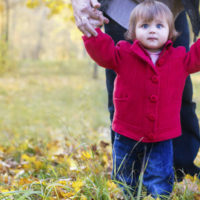 If you are getting divorced and have questions or concerns about parenting time (especially when a young child), you need to contact the experienced Houston divorce lawyers at Lindamood & Robinson, P.C. Contact our office today to schedule an in-person consultation.